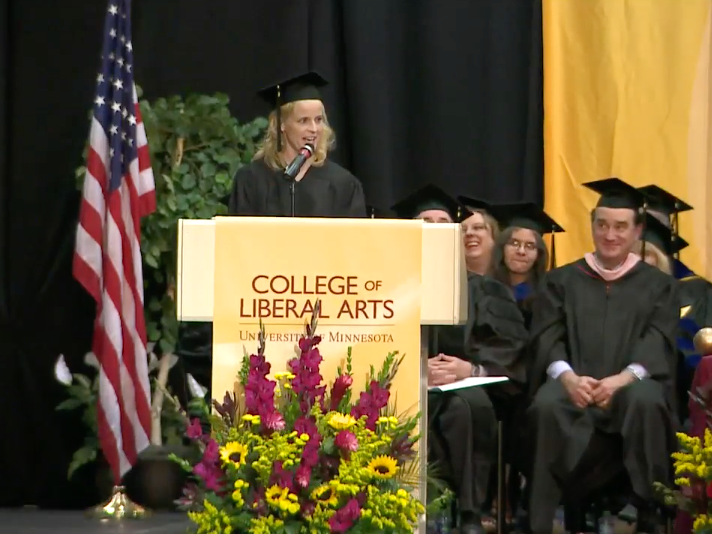 Comedian and actress Maria Bamford used her graduation address to provide a lecture on the art of negotiation to the University of Minnesota class of 2017. Bamford, who graduated from the school in 1993 with a degree in creative writing, expounded upon the necessity for liberal arts majors to care about money in a hilarious speech. “Let me begin by talking about the elephant in the room at a liberal arts graduation ceremony — and that is money,” she began, before reading an email from the school inviting her to speak.